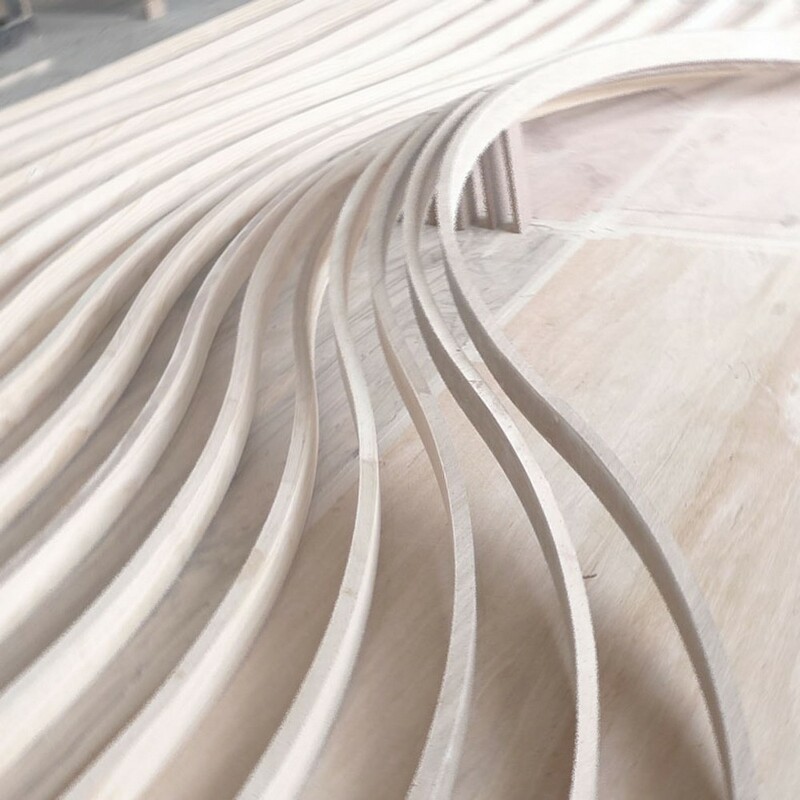 The design started off by understanding the subtle differentiation between outside and inside, as well as the basic forms of square and circles in traditional Chinese architecture. This is expressed in the rhythmic expression of the solid pine and transparent glass in the facade, and also the gradual morphing from straight to circular in the timber ceiling. With close communication with client and also after careful review of the architectural merit with specialist, a more radical approach was adopted for the renovation of an Ancestor Hall. 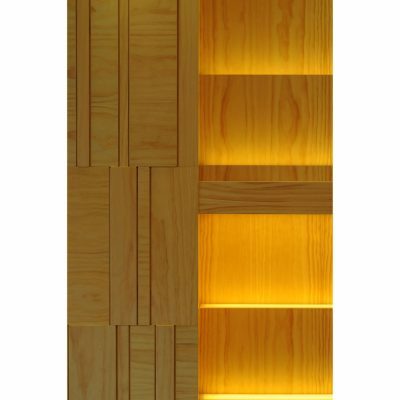 The contradiction to create connections with the exterior landscape and yet retains the sense of privacy for the sacred interior calls for an alternating facade of 120mm diameter treated pine poles and 120mm wide glass. 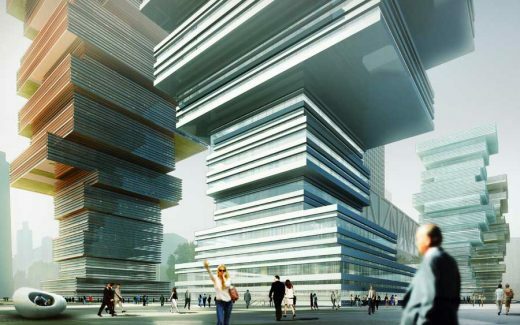 The rhythm is derived from studying the dimensions of the existing building and its elements. The soffits and balustrades are also carefully proportioned, with the panelling lines carrying on to the joints between the granite floor tiles. The soffit timber poles in the interior, gradually transforming from straight line to the circle at the centre when the Buddha sits below on Ground Floor; or rises up to celebrate the pitch roof on First Floor. With time, the pine has slowly become more golden, echoing the existing ceramic roof files. 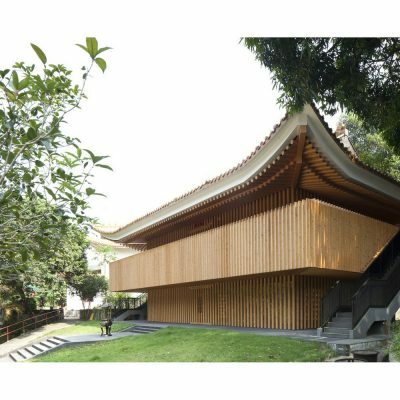 This is the first project that embarked a long collaboration between Eureka and the client on its renovation of a Buddhist Park in Tai Po, Hong Kong. It was completed in 2012. 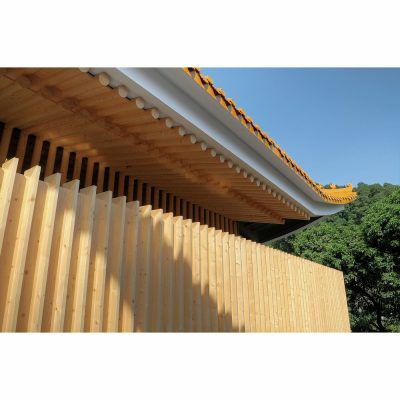 The design started off by researching traditional Chinese architecture and also Chinese Renaissance, space for Buddhism Material research, using the right type of wood and to achieve a golden weathering effect that echos the existing ceramic roof tiles. The challenge of the project is to reinterpret Chinese Architecture at the modern time, and at the same time create a subtle hierarchy in the various different buildings in the park. Eureka is a Hong Kong based architectural design studio established in 2011 aiming to create a multi-layered experience. Believe in script-writing and the idea of ‘polytropic’ (with more than one author), the studio explores the existed typology and spaces through collecting, changing, redefining and creating situations, and hence the design. At the same time, we believe in project implementation, and oversee our design from the beginning to completion. 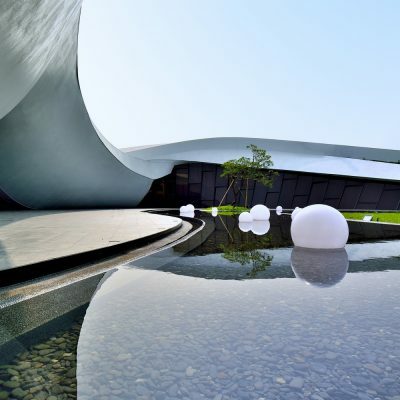 Projects vary from small installations to interiors, cycling parks, private houses, schools, a winery and a Buddhist park. 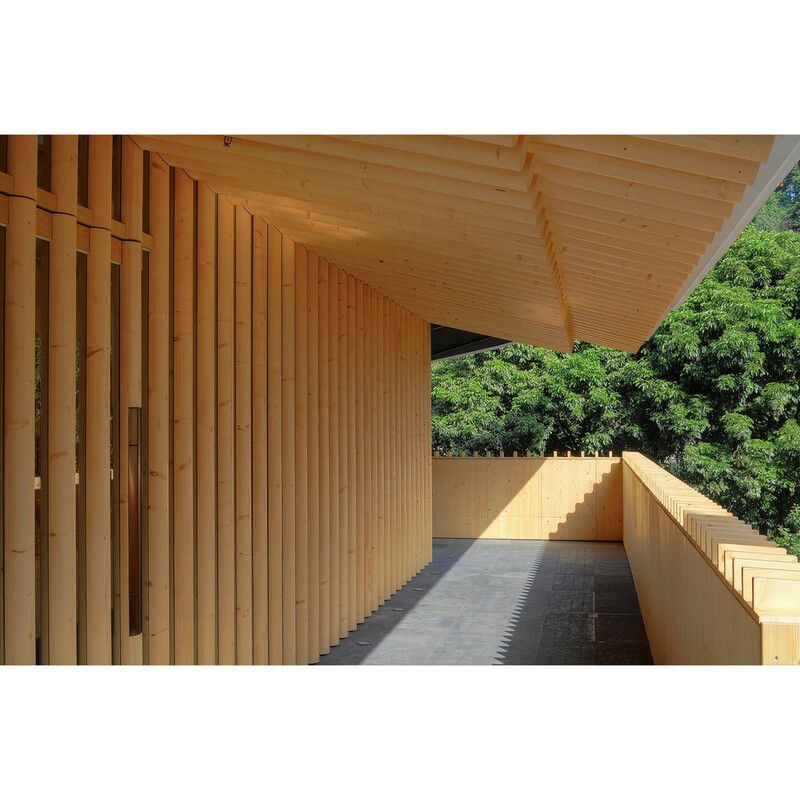 Winner: Timber Tale An Ancestor Hall by Eureka Limited is Winner in Architecture, Building and Structure Design Category, 2015-16.